Dr. Stein is board certified in internal medicine and endocrinology. She completed her undergraduate work at the State University at Albany and received her medical degree from the Albert Einstein College of Medicine in 1978. She completed her postgraduate training in both internal medicine and endocrinology at the Montefiore Medical Center. 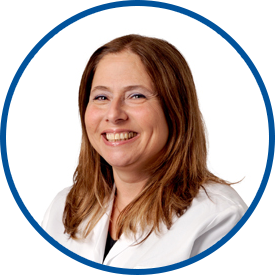 Dr. Stein joined Westmed Medical Group in 1999, and has practiced in White Plains since 1983. She is affiliated with White Plains Hospital. She is a member of the White Plains School Board. I feel at ease with Dr. Stein. She is very knowledgeable and caring. I have recommended Dr. Stein to many friends with PCOS. *Dr. Stein has been my physician for well over 20+ years... she's kind, empathetic, cares AND is a terrific doctor. I find *Dr. Randy Stein to be very caring. Very pleasant experience @ each visit. GREAT experience! *Dr. Stein is very attentive I never feel rushed. She gives me time to listen to all questions I have. I highly recommend *Dr. Stein & so happy she is my doctor. I have been recommending Dr Stein for years! She's fabulous!! Dr. Stein has always been very responsive and caring. I mixed up my appointment time and missed the appointment. dr. Stein fit me in anyway. she and her staff were very accommodating. I was very appreciative. Dr. Stein is an excellent doctor. She is very thorough, caring, and always listens to and addresses my concerns. She is also extremely responsive to my queries over the Westmed online messaging system, which is greatly appreciated.